Navigation, Heated Leather Seats, Back-Up Camera, Premium Sound System, Onboard Communications System, Power Liftgate, TRANSMISSION, 9-SPEED AUTOMATIC 9T50... TRAILERING EQUIPMENT, 3,500 LBS. (1,5... BLUE STEEL METALLIC exterior and LIGHT PLATINUM / TAUPE interior, Denali trim. FUEL EFFICIENT 28 MPG Hwy/22 MPG City! READ MORE! Power Liftgate, Heated Driver Seat, Back-Up Camera, Premium Sound System, Onboard Communications System, Aluminum Wheels, Remote Engine Start, Dual Zone A/C, Heated Seats, Heated Leather Seats Remote Trunk Release, Privacy Glass, Keyless Entry, Steering Wheel Controls. 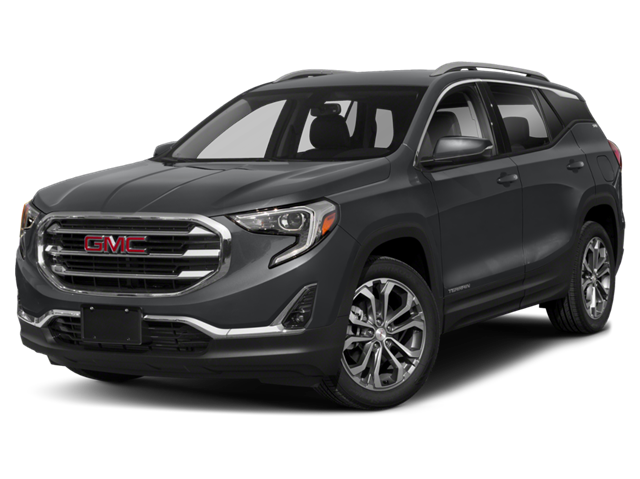 Hello, I would like more information about the 2019 GMC Terrain, stock# GC5783. Hello, I would like to see more pictures of the 2019 GMC Terrain, stock# GC5783.